The art of laughter is a hard craft to master, but according to the Edinburgh Fringe festival audience, this guy has nailed it with a well-timed, totally relatable joke. 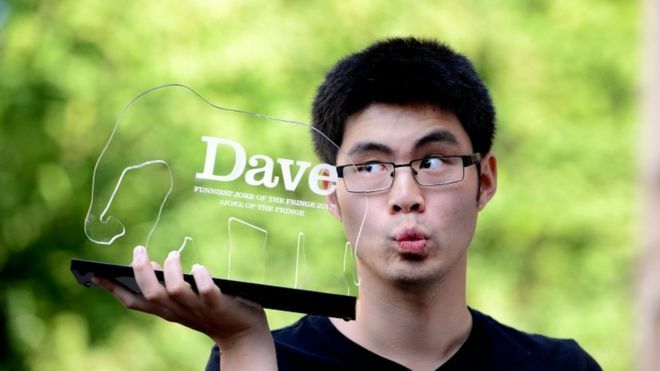 Ken Cheng delivered a one-liner that’s been dubbed Dave’s 10th annual funniest joke of the Fringe, beating the likes of Frankie Boyle and Tim Vine to the punchline. The former Cambridge student executed the one-liner during his show, Ken Cheng: Chinese Comedian, and it garnered 33 per cent of the popular vote, with 2,000 people delivering their individual verdicts. Audiences tend to groan at it a lot. I’m generally going after laughs, but I’ll take the groan. I am very proud to have won. As a tribute, I will name my firstborn son after this award and call him ‘Joke of the Fringe’. Other contenders included one-liners from the world’s most popular comedians. I’ve given up asking rhetorical questions. What’s the point? Combine Harvesters. And you’ll have a really big restaurant. But the maths student turned pro poker player’s joke won the hearts of audiences, after he came up with the play on words when the government announced plans for the new 12-sided £1 coin in 2014. It’s official: This joke is the currency of laughter.